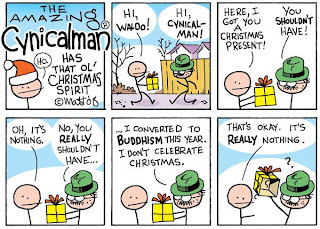 Matt Feazell's THE AMAZING CYNICALMAN is one of those comics that tells so much with such a spare number of lines. 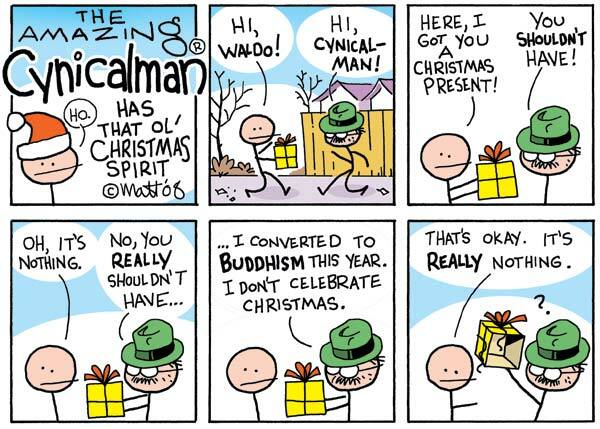 Here's Cynicalman handing off a Christmas present. Ten more days till Christmas!